Warmth you can see and feel. 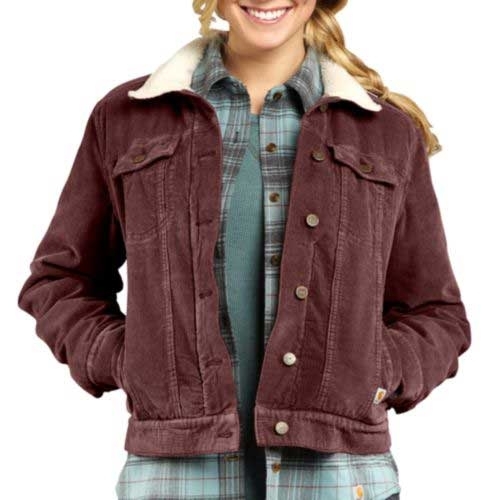 Our Southold Jacket features an 8.8-ounce, 100% cotton corduroy shell. Inside a Sherpa-lined body will keep you warm and its quilt taffeta-lined sleeves help you move around more freely. It has a button front, two chest pockets with flaps and buttons, and adjustable button cuffs. There�s an inside pocket, too, for easy storage.